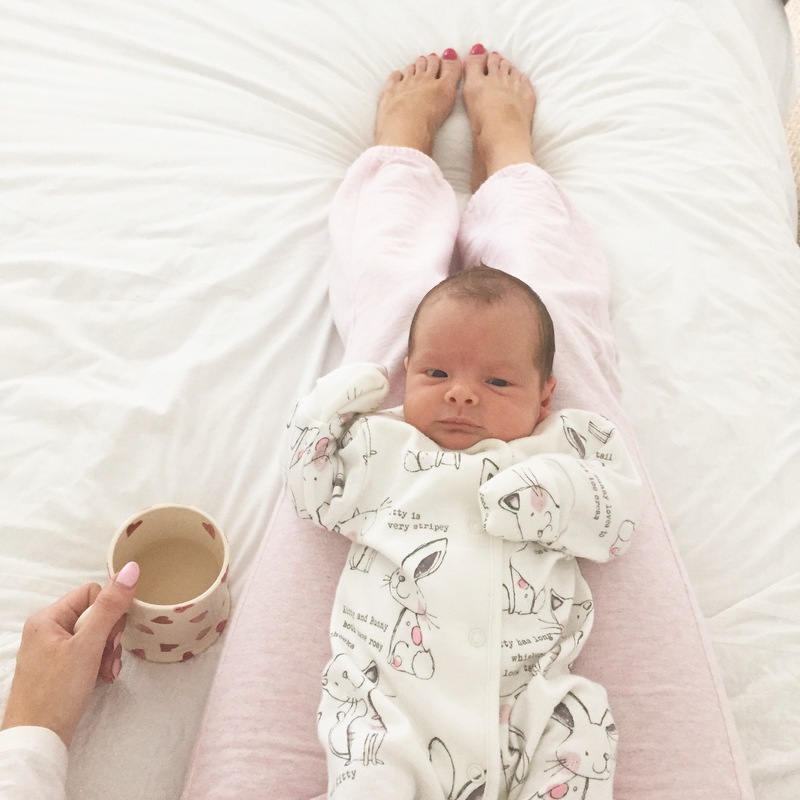 I have been very quiet on the blog recently due to settling as a family of 4, getting to know Annie (a little gem) and juggling toddler mayhem and cluster feeding. I am grabbing the time to do this while doing a night feed at 3:06am and after a full day of cluster feeding so please forgive the horrific spelling and grammar (nothing new). 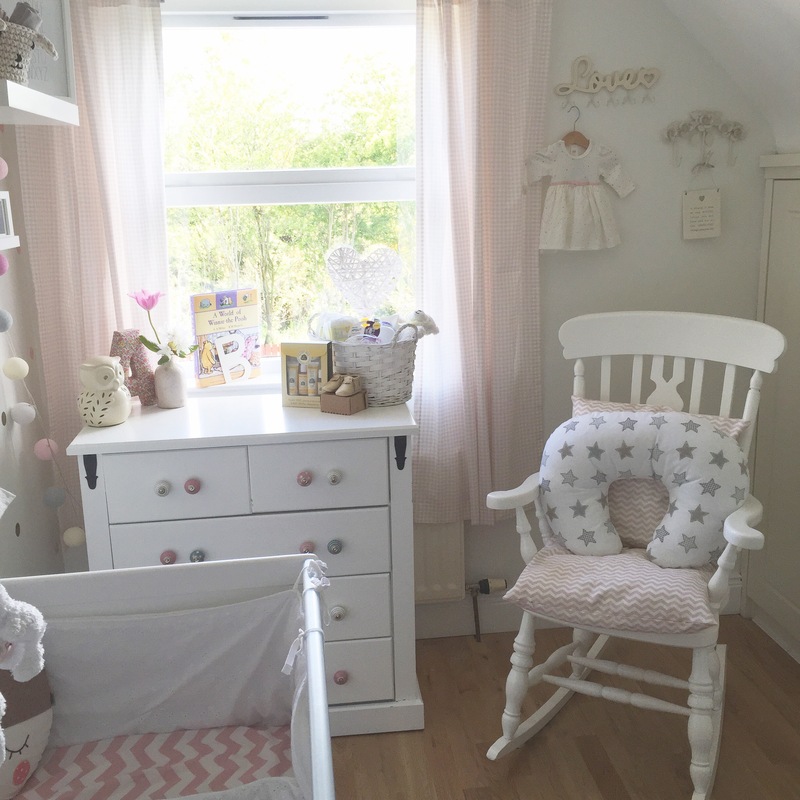 I have loads of posts I want to get writing but thought I’d do a quick one on Annie’s Nursery as I have had quite a few texts and emails on the details of this little space. 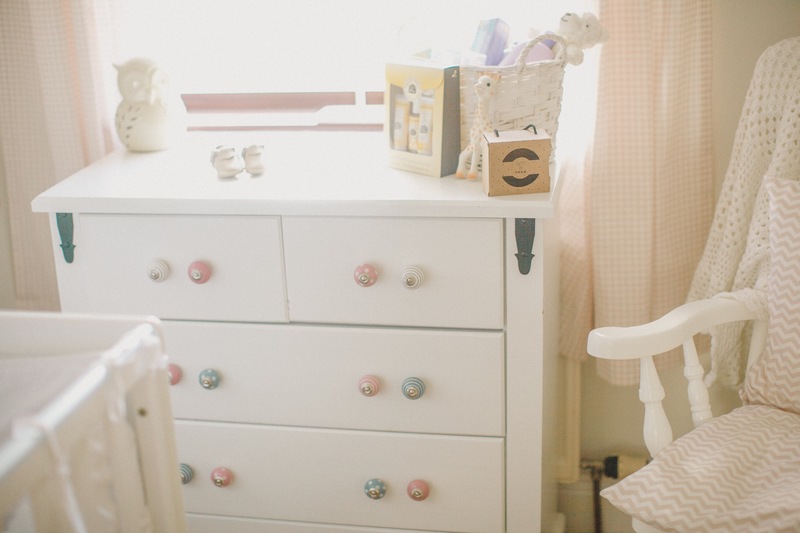 Annie’s room was originally my ‘wardrobe and make up room’ ha… That’s now a thing of the past. It’s a very small little room so smart space is a must. 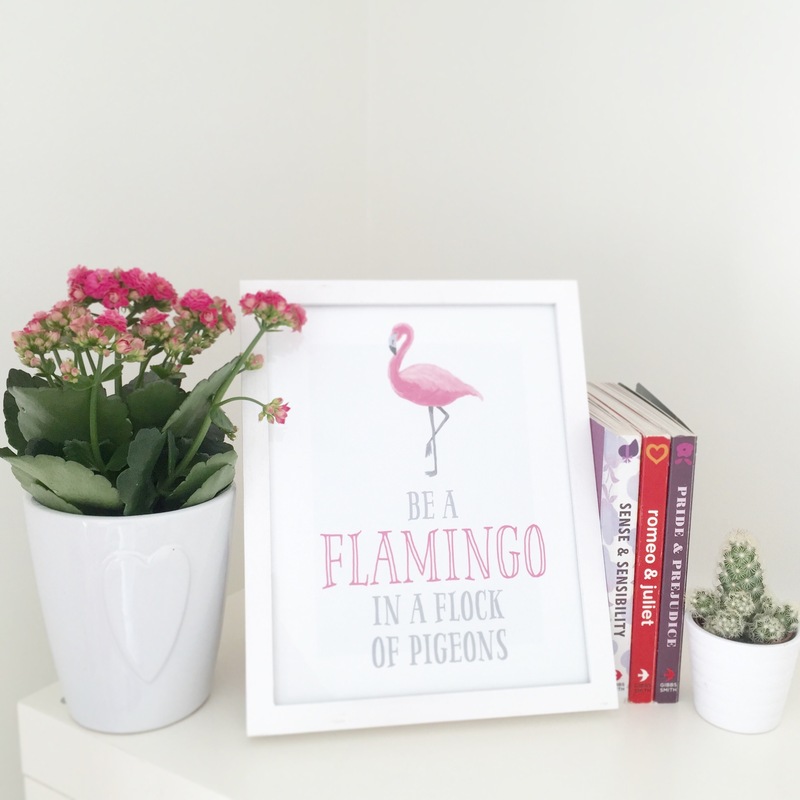 What I wanted to achieve with this room was a modern girly look that is bright and fresh and needed to achieve this on a small budget. I originally ordered a beautiful Mamas and Papas furniture set with cot bed and dresser/ changing station but it worked out too big for the room and was £600 on the sale. We had a mahogany set of drawers and got them sprayed white. I removed the black handles and ordered little china handles from ebay to give a softer and girly look. The handles were £2 each so this was a cheap up cycle at under £100. I ordered the cot bed on the mamas and papas January sale at £120 from £300 and bought a memory foam mattress. The bedding is by Claire du Lune and is Broderie Anglasie which can be found Here. I bought this bedding set for Bella and have since updated her room so I am able to use it for the nursery. I wanted plain white originally to match the Moses basket but has meant that I can use the bedding set again and it matches everything. The cot mobile is by Obaby and is ‘B is for bear’ again this was Bellas but can still be purchased Here. I added some little floral birds around the teddies to add a little colour. I got given a rocking chair that was pine and we up-cycled this before Bella was born, we got it sprayed white from DSA woodspraying as we wanted it to have a flawless finish. The pink and gold dots on the wall are decals and not wallpaper. These are from Urban Wall Decals and their instagram page has some very creative and lovely ideas. I am currently updating Bellas room and have found some indpiration there. The wall decals are a great way of adding design to a room that can easily be removed without ruining the paint or having to wallpaper. 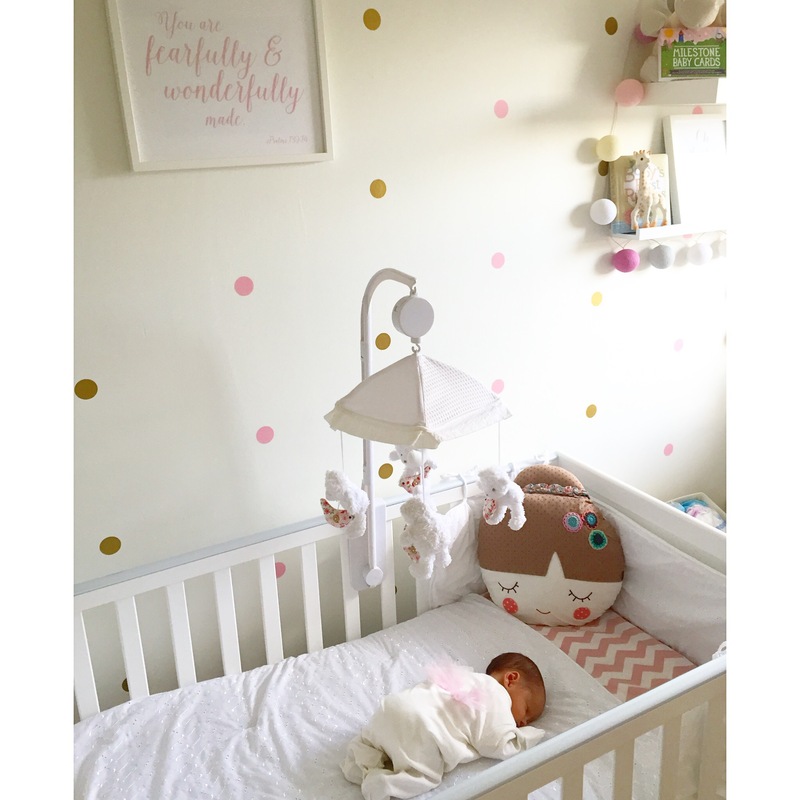 The cot top changer is from John Lewis and perfect for having a changing station in a room with limited space. 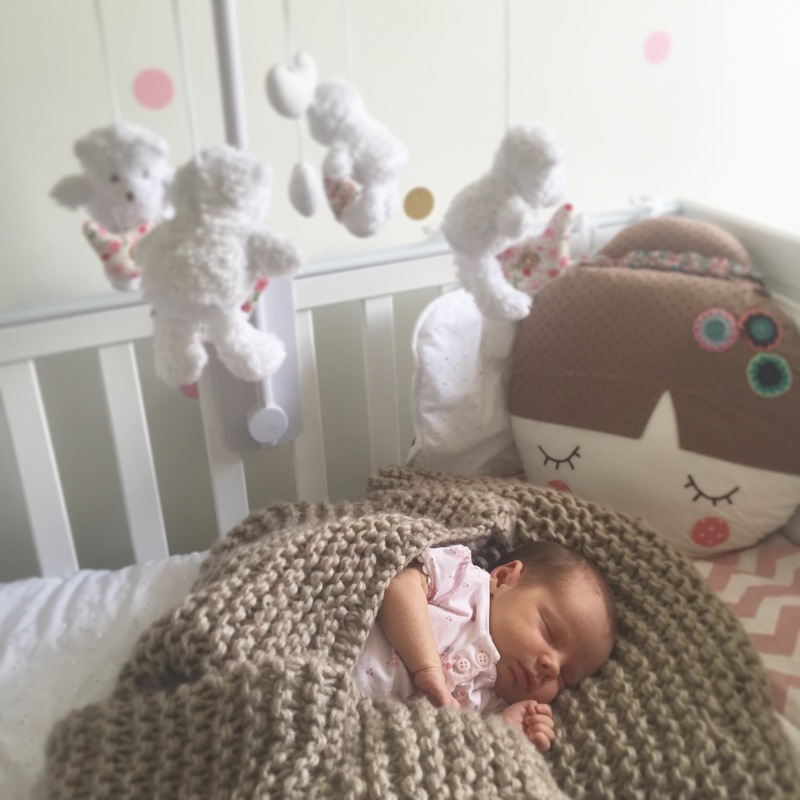 I picked up the chevron cot bed sheet in Mamas and Papas from the Patternology collection as I wanted to ensure the room looked different than Bella’s baby room. The beautiful prints are from Stopgrowingup on Etsy and have fabulous prints for play rooms, kids rooms, the home and office. You can tell that these were created by a mum looking for something quirky and different for her own kids and I love supporting other mums and their businesses. 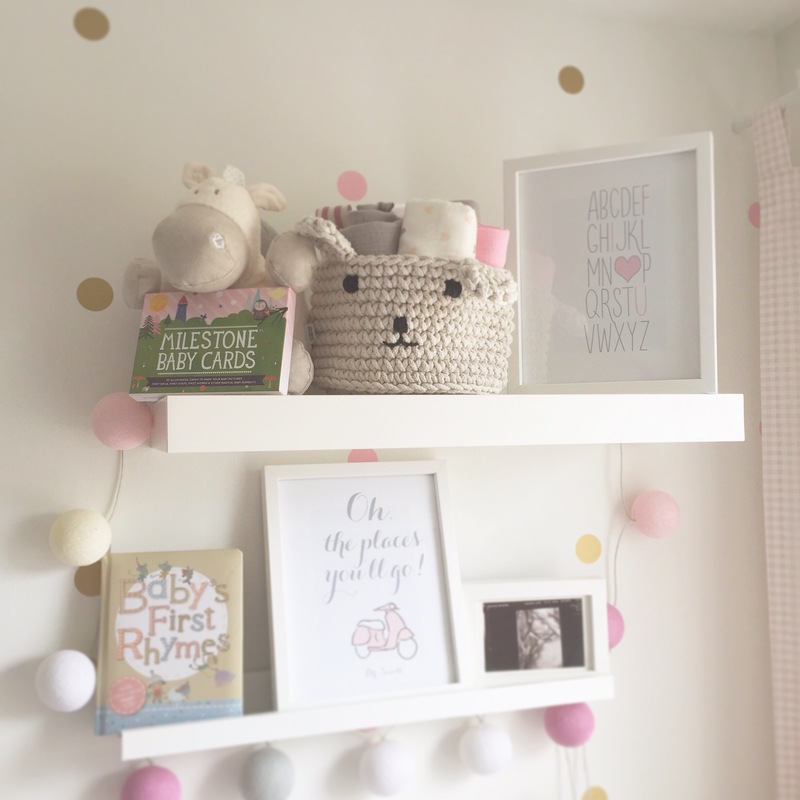 The prints are a simple and afforadable way of adding to a nursery. 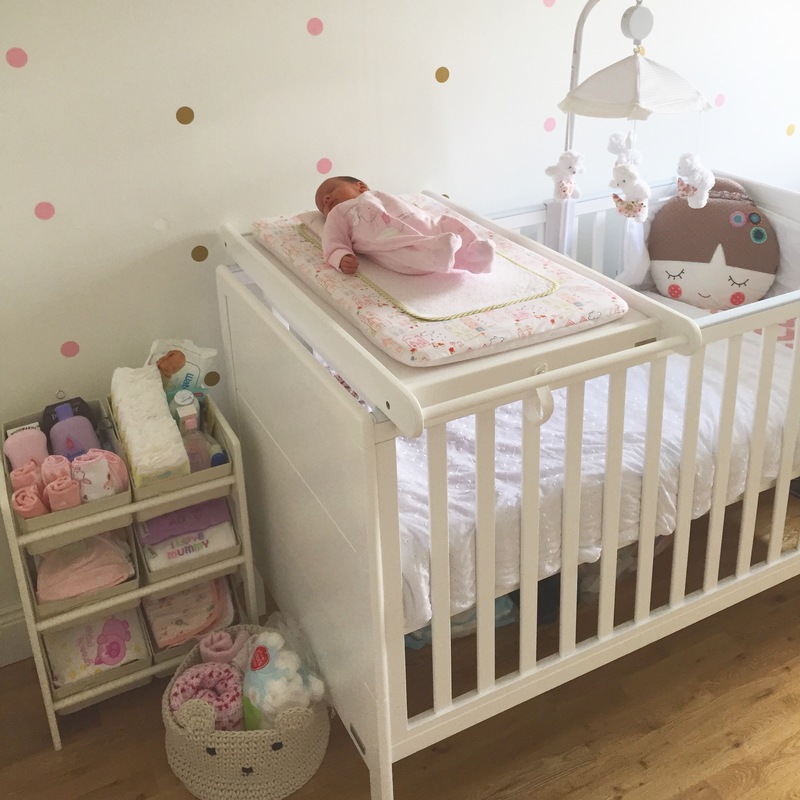 By using Bellas old bedding and some accessories I was able to buy the cot bed, upcycle the furniture, paint and decorate, add curtains and some details all for under £400. I hope this is of some help, if there are any details I have missed that you would like to know about let me know. What an elegant and lovely room for baby and peaceful place for mama. 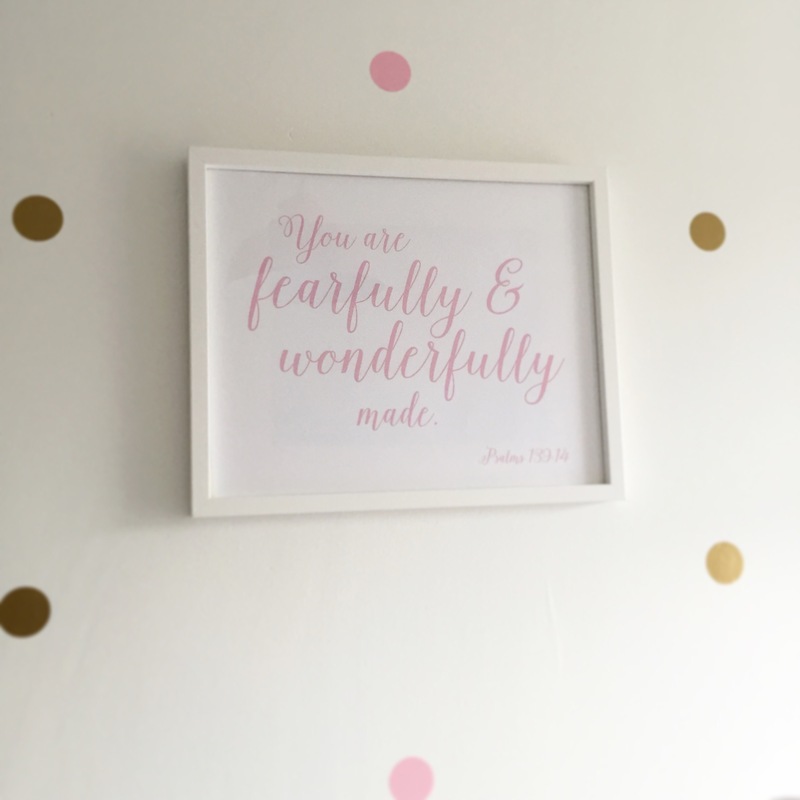 Adore the framed scripture! Just beautiful..